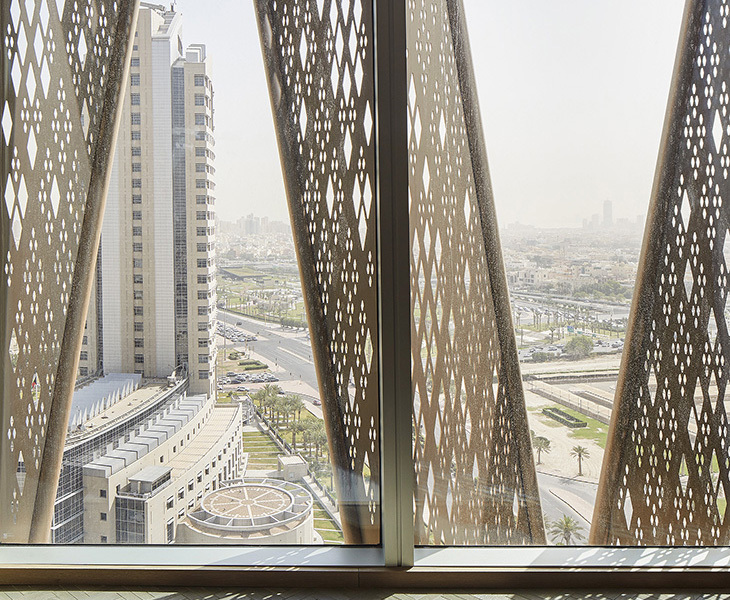 Located in the heart of Kuwait city is the Burj Alshaya, a mixed used development designed by global architecture practice, Gensler, which features a pair of towers connected by a podium topped with a roof terrace. The towers are draped in a three-dimensional latticework screen on the east and west elevations to provide both shade and privacy. 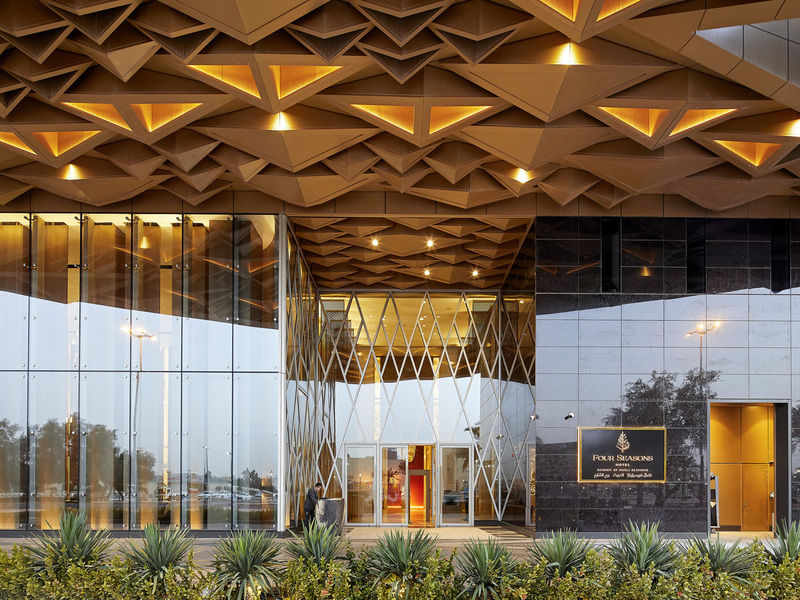 This “modulating aluminium facade” also helps the building identify with the local context, as a modern reinterpretation of the region’s traditional mashribiya, a notable Arabic architectural element. 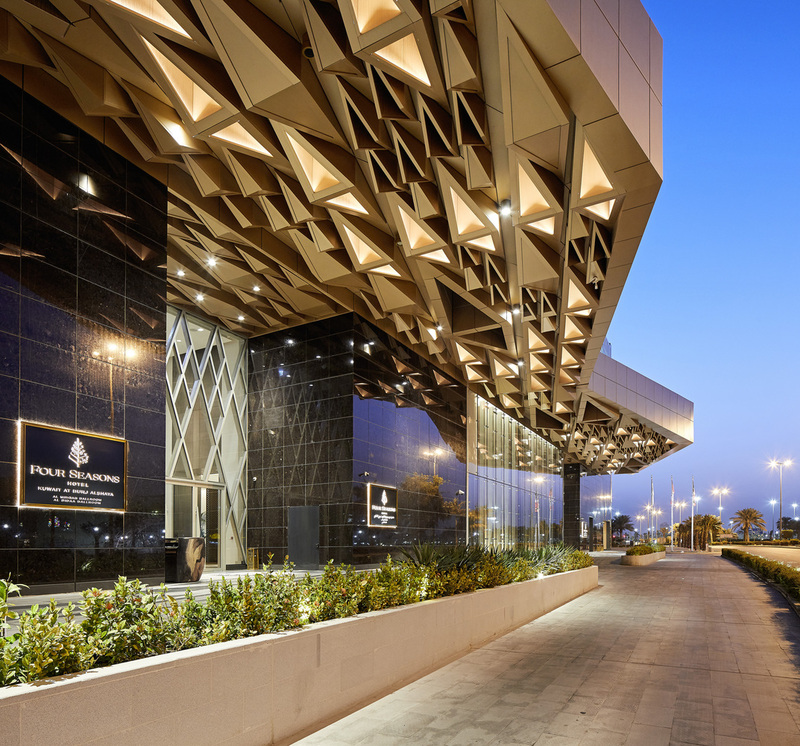 The towers are home to local retail giant Alshaya and a Four Seasons hotel which features distinctive interiors designed by Yabu Pushelberg. 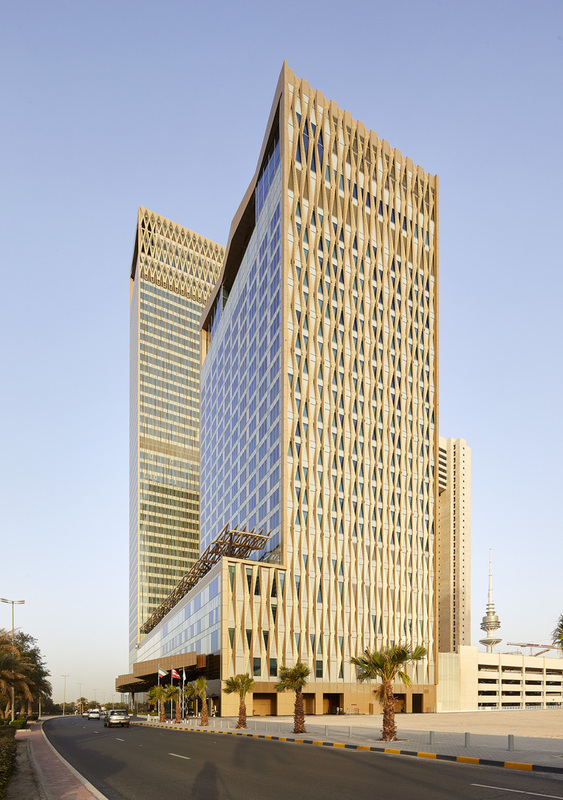 Gensler is proud to present its completed architectural design for a mixed-use development in Kuwait City consisting of three distinct components, an office tower, the new five-star Four Seasons Hotel Kuwait at Burj Alshaya and a connecting podium. Alshaya is a pioneering force in the retail franchise sector across the Middle East, North Africa, Russia, Turkey, Europe and beyond. As a world-leading retailer, their multi-brand, multi-market franchise portfolio delivers a truly international shopping experience across a range of sectors. Taking inspiration from the culture of the region, the design concept was developed around a regional architectural tradition – the ‘mashrabiya’, an element of traditional Arabic architecture that sees windows enclosed with latticework – a technique that has been used since the Middle Ages to provide shade and privacy while maintaining views. A key design driver was to develop a building envelope that was both efficient and iconic, related to Arabic architecture whilst embodying a novel approach to reducing the effects of the high ambient temperatures and intense solar radiation that characterise the local environment. The resulting design reinterprets this tradition, presenting a contemporary take on traditional patterns and forms, via a three-dimensional lattice in various scales and locations across the development. The diamond pattern of the lattice provides solar control for the building. This approach integrates the three main elements of the project by wrapping the east and west elevations of both towers and covering large sections of the podium with a mashrabiya type envelope. 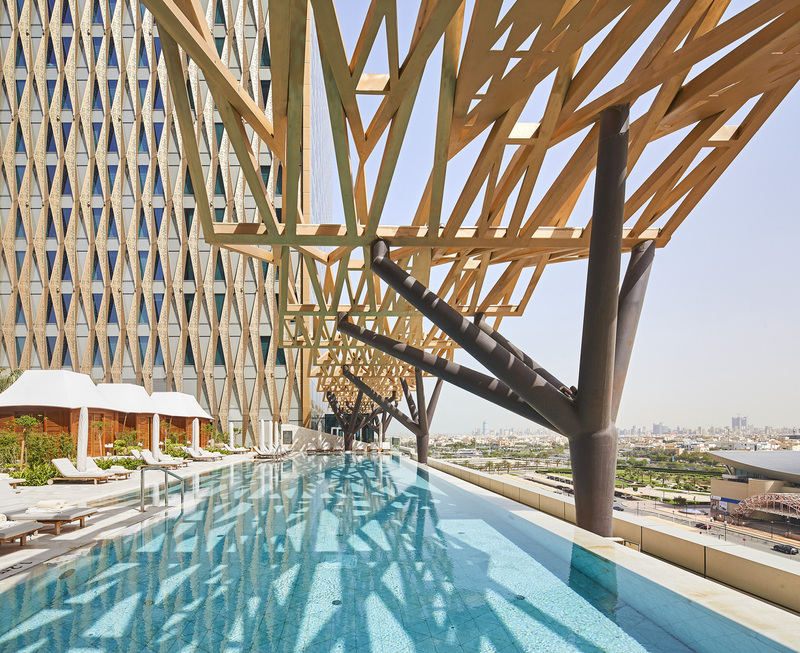 The geometry of the shading fins enhances climatic performance for the occupied spaces and continues over to wrap the roof terraces and shade outdoor activities from the sun, while providing a recognisable and significant addition to the city’s skyline. 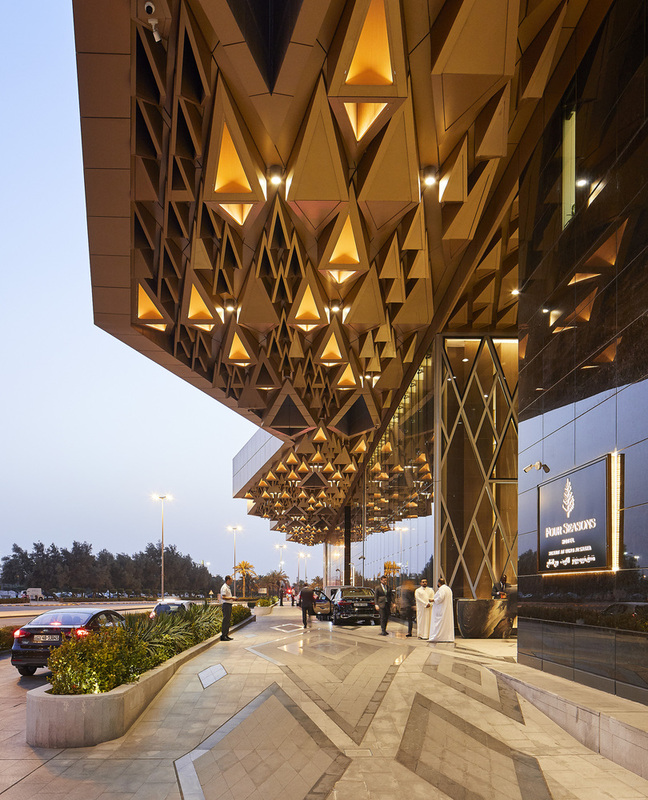 Recipient of the 2018 MEED Hotel of the Year Award, the Four Seasons hotel occupies 22 storeys and holds 284 rooms and suites, including two large ballrooms with conference suites, an expansive pool-level terrace, five restaurants and lounges, and world-class spa and fitness facilities. 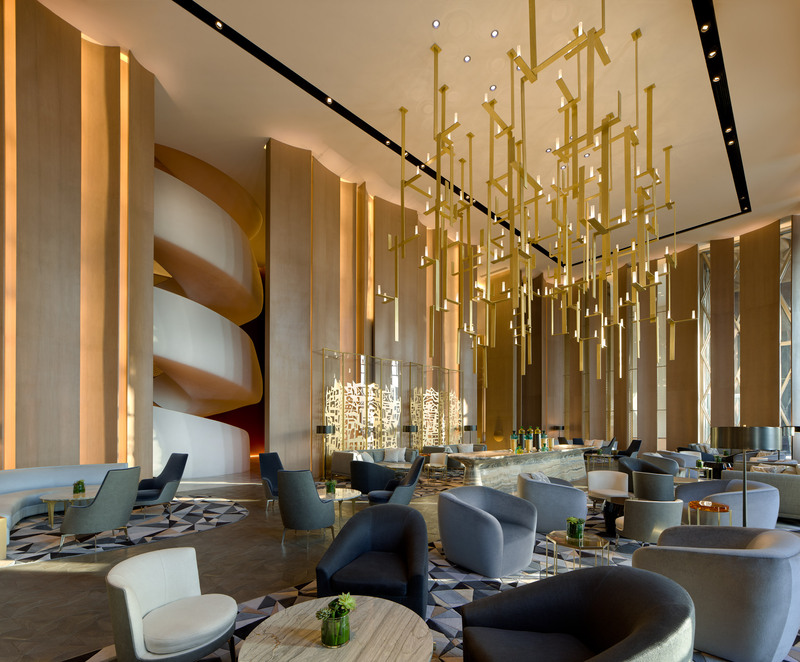 Toronto based designers, Yabu Pushelberg, designed the interior spaces of the hotel, and the landscapes were designed by PLandscape. Gensler also designed the wayfinding and signage of the hotel. The 42-story office tower provides class-A office space in approximately 60,000 square metres. Additionally, the first level of the basement includes 2,000 sqm of retail space to support the office tower. The tower will provide next generation premium work space and amenities to the many groups that comprise the Alshaya company. Gensler has designed the core and shell of the office tower, as well as the interiors and the wayfinding and signage. 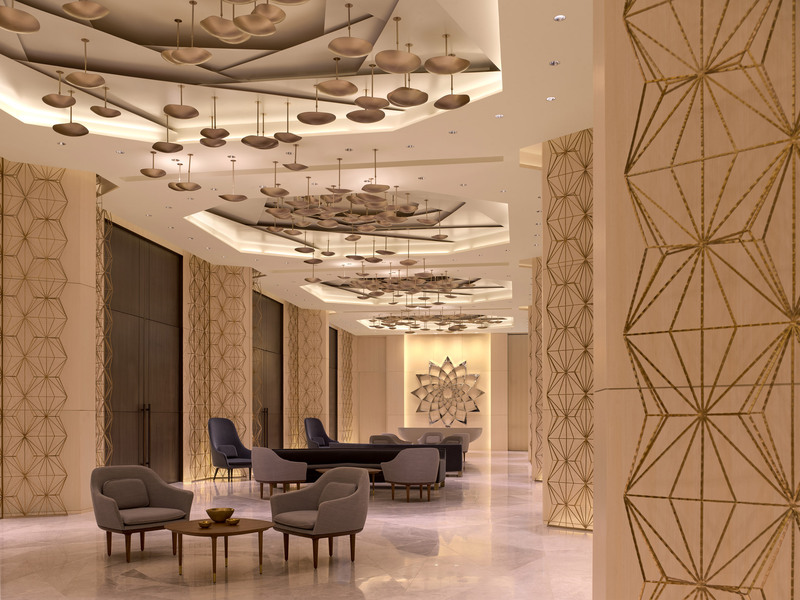 The development strives to create an aesthetic and functional continuity, identifying and distinguishing itself from the surroundings, responding to the climate, while also enhancing the experience of guests and visitors to the hotel and Alshaya’s employees. –Tom Lindblom, Principal and Global Hospitality Leader at Gensler. Previous ArticleWhat to expect from The 3rd Annual Open House Lagos 2018, themed “Amphibious Lagos”.